Loudoun House. General view from the North West. General view of the building after restoration seen from the East. General view of the East side of the building seen from the East. General view of the building after restoration seen from the North. 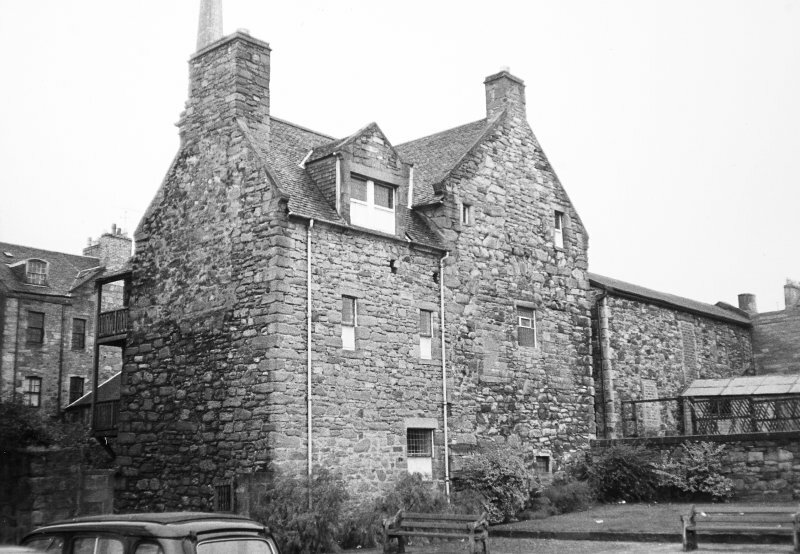 Loudoun Hall was built by James Tait, a burgess of Ayr about 1513 (W Dodd 1972). It is one of the few examples in Scotland of a town house of its period. It originally consisted of three vaulted rooms on the ground floor, a large hall on the first floor, and an attic storey. 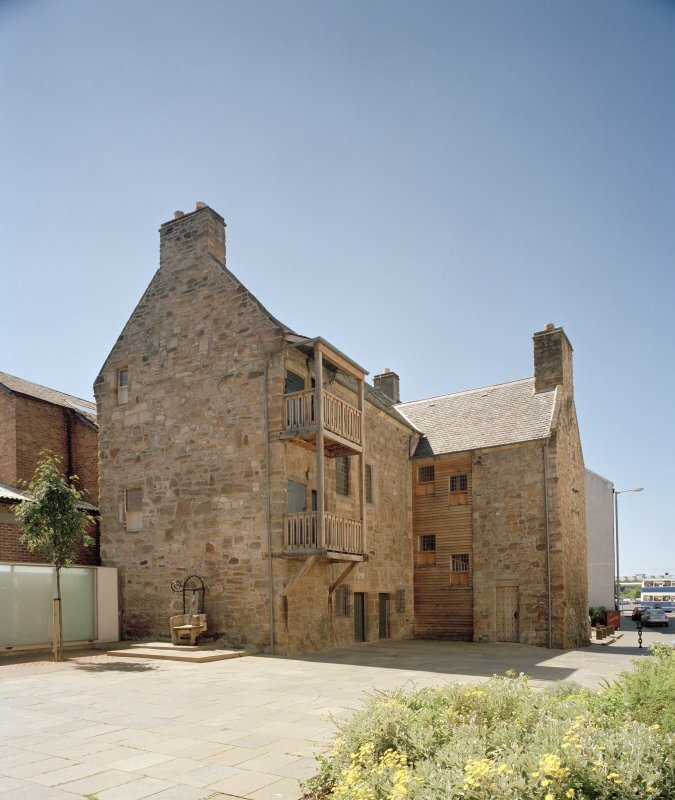 Two garderobes, accessible by wooden galleries (now restored) projecting outside the building, open off the main hall and second floor respectively, with a third in another corner of the second floor, in the thickness of the wall. 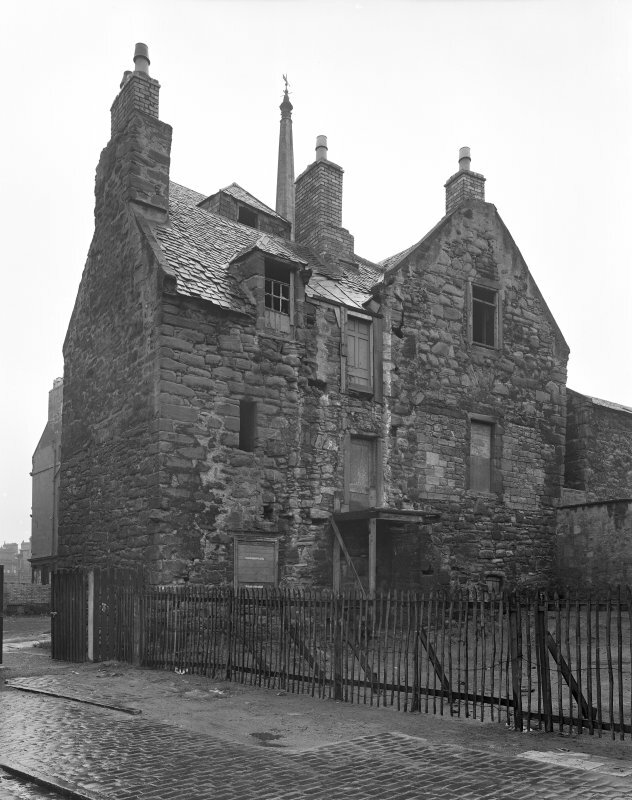 The house was sold to Sir Hugh Campbell of Loudoun, Sheriff of Ayr, probably between 1528 and 1539. He added a wing on the N side. 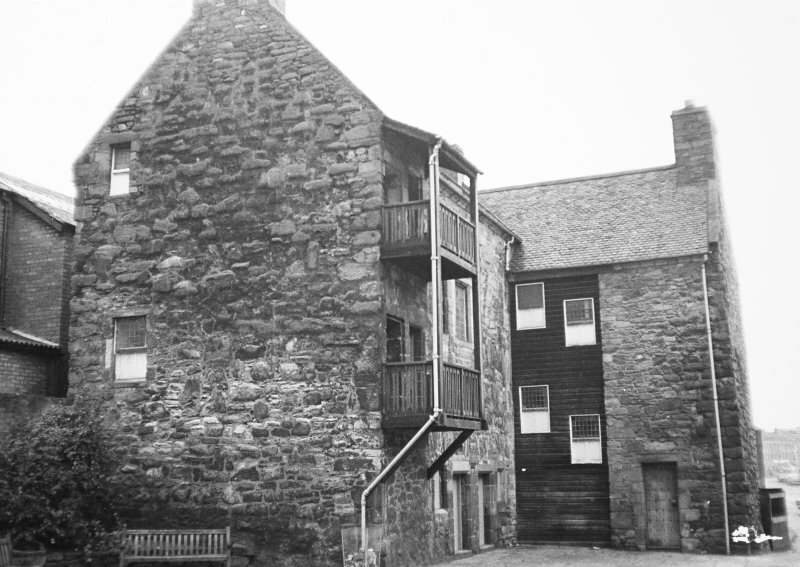 The position of the main entrance and staircase is unknown, it was probably in the re-entrant angle; a new staircase was built on in the 18th century. This was removed when the Hall was restored to its late-medieval appearance by the Saltire Society. Loudoun Hall which is as described has been extensively refurbished and it is an outstanding example of an early town house. 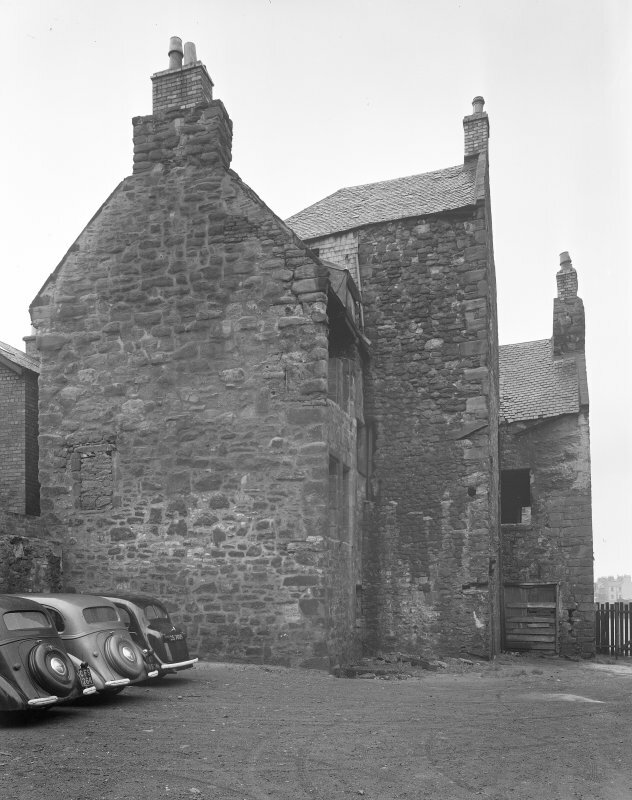 It is admininstered by trustees and is used as a meeting hall (Mr J C Hay, 2 Barns Street, Ayr). NS 336 221 Excavations in the forecourt of Loudoun Hall and the nearby Boat Vennal have produced evidence for major re-engineering of the quayside area, from a medieval 12th/13th-century riverside rubbish tip, through the construction of Loudoun Hall in the 16th century, to a hardened and levelled urban quayside area by the 17th to 18th centuries. There is also evidence for a NE wing to the Hall and medieval building to the E. A large assemblage of medieval pottery was retrieved, containing examples of local and imported wares. NMRS Library: The Ayrshire Post, 25 July 1986 - not found at time of update. Loudoun Hall, possibly the townhouse of the Loudoun family, is the oldest house in Ayr. Located in Boat Vennel, it dates from at least the early sixteenth century. Information from ‘Historic Ayr: The Archaeological Implications of Development’ (1977).